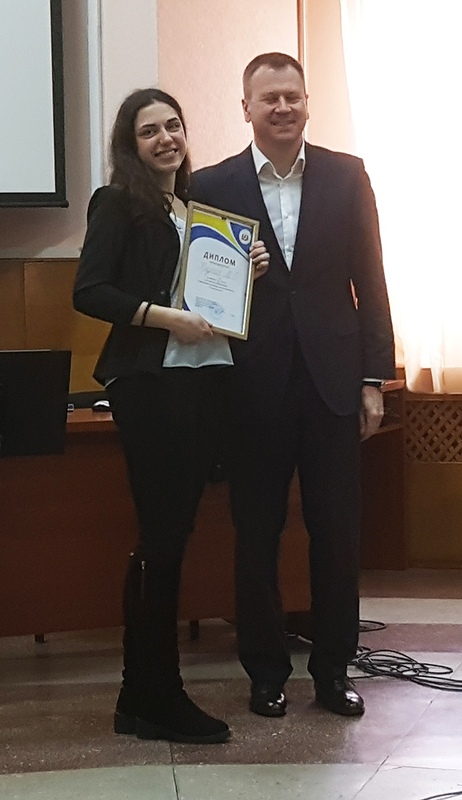 The 2nd stage in all-Ukrainian students’ Olympiad in specialty “Dentistry’ was held on 29-30, March, 2018 on base of State Higher School “Ukrainian Medical Dental Academy” in c. Poltava. 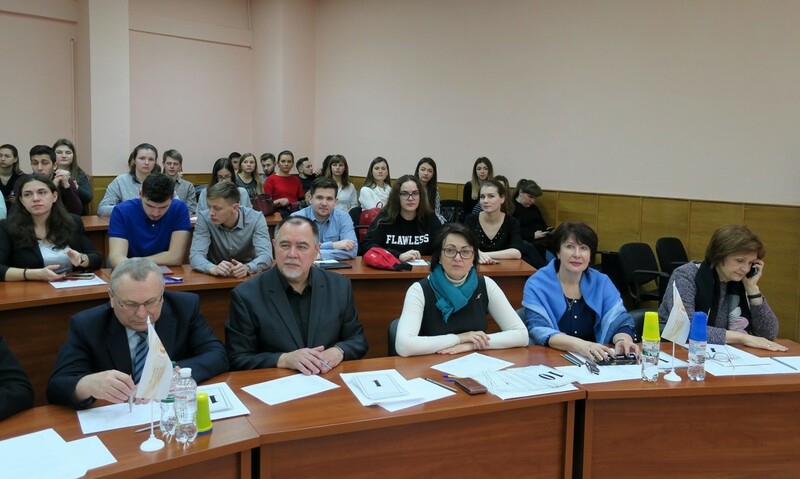 Over 80 students from 14 higher medical schools in different cities of Ukraine took part in Olympiad. The team of O.O. 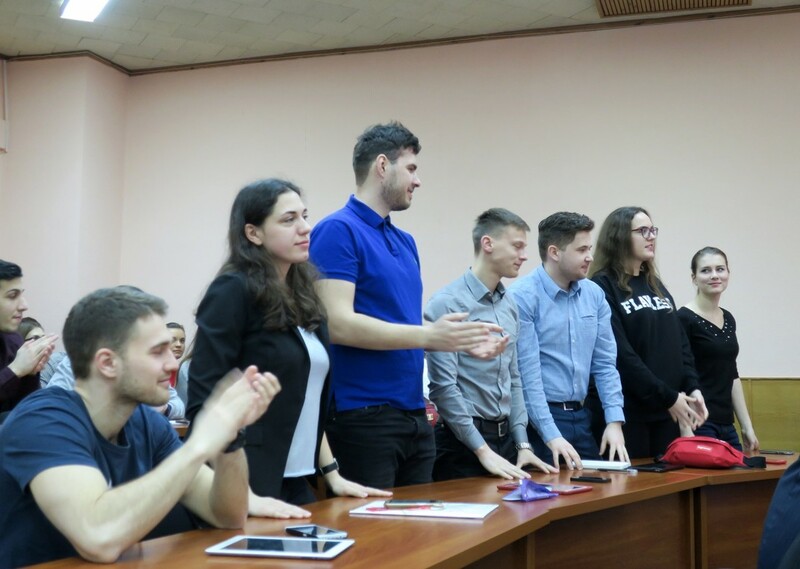 Bogomolets NMU included the students from the 4th-5th courses, who received the best results in the first tournament of Olympiad – Yurchenko Karyna (4th course), Vasyliev Oleksandr (4th course), Kichapina Olha (4th course), Zhylchuk Dmytro (5th course), Vedeneiev Viacheslav (5th course), Krupych Mariia (5th course). The rules for performance of Olympiad anticipated not only the individual contests of students but the team performance and the team of O.O. 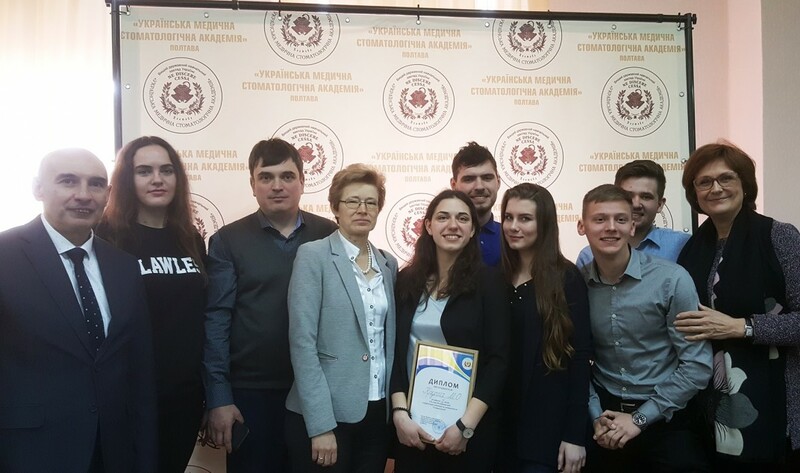 Bogomolets National Medical University surely took the first team place. The Olympiad was held in two stages. 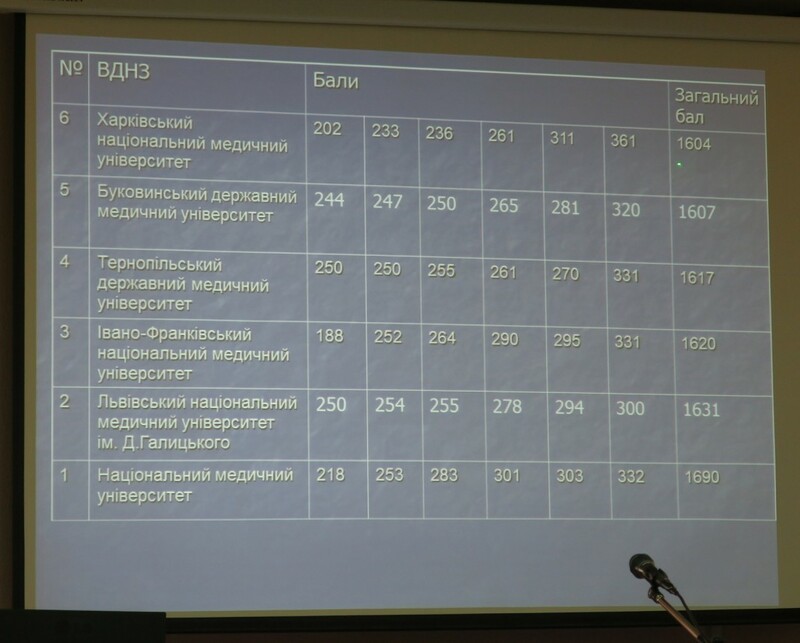 On the first day the participants in written answered to questions in all sections of dentistry, the independent jury checked the coded works. On the next day they announced the names of students, who came to the final. The finalists had to answer 4 theoretical and 4 practical questions in different fields of dentistry to the audience; time for preparation was 30 seconds. 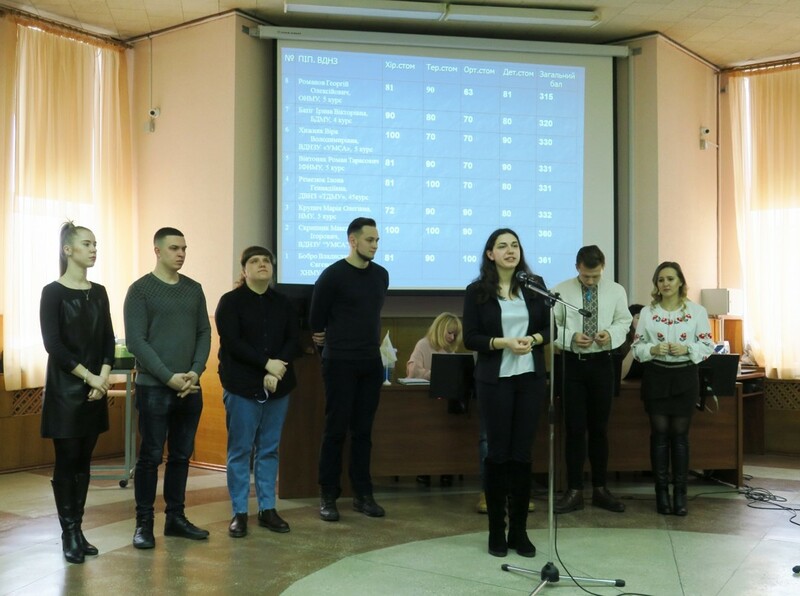 The answers were assessed by jury that consisted of 12 teachers from different higher medical schools of Ukraine. The student of the 5th course in dental faculty of O.O. 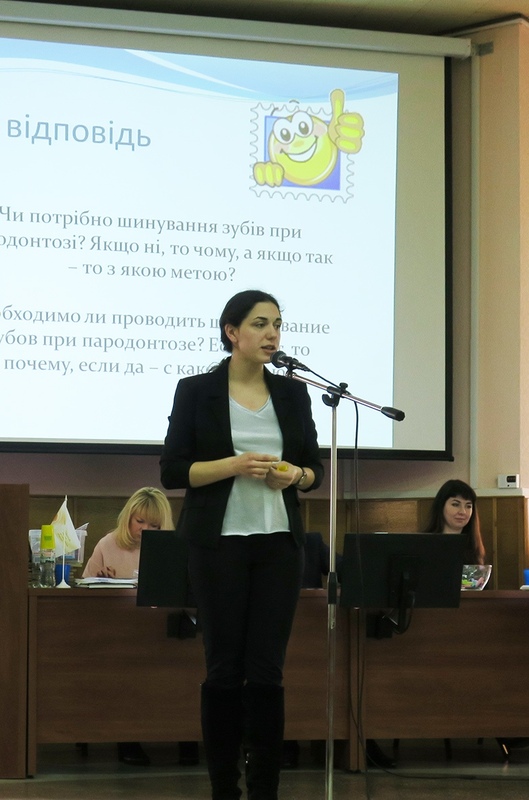 Bogomolets NMU Mariia Krupych came to the final; she took the 2nd place in energetic struggle. 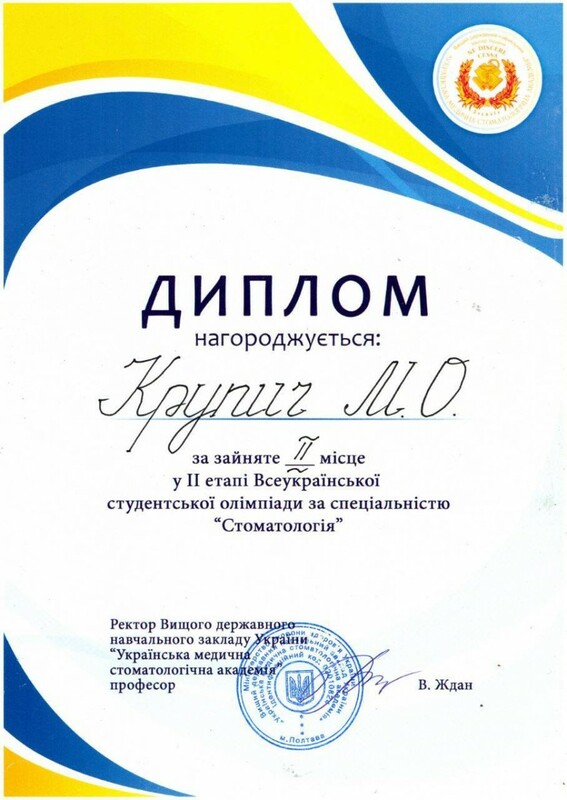 The winner in Olympiad was the student from SHS “Ukrainian Medical Dental Academy” (Poltava) Maksym Skrypnyk. The head at department of surgical dentistry and facial surgery of childish age at O.O. Bogomolets NMU, professor L.M. 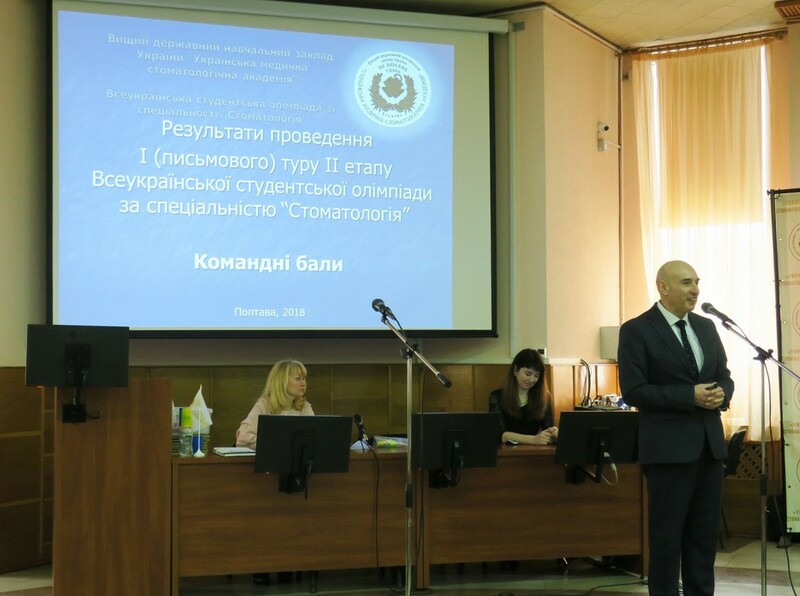 Yakovenko, took part in work of jury at all-Ukrainian Olympiad, the member in appeal commission was the dean of dental faculty professor N.V. Bidenko. 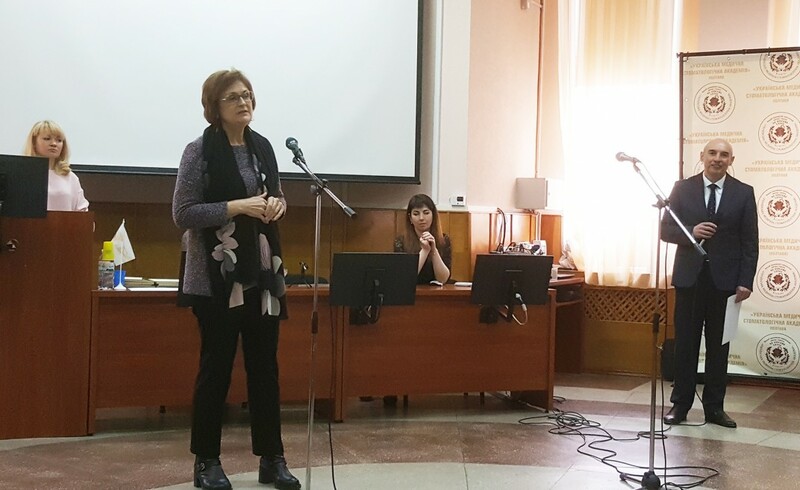 The team of NMU was accompanied by deputy dean of dental faculty assistant professor V.V. Filonenko.